The Rock and Roll Hall of Fame has just released their “Class Of 2019” Nominations, so after some reminder premise on how one achieves such an “honor” I will line out the list for you. Let’s go. The Criteria: Currently, groups or individuals are qualified for induction 25 years after the release of their first record. Nominees should have demonstrable influence and significance within the history of rock and roll. Four categories are recognized: Performers, Non-Performers, Early Influences, and Sidemen (as of 2000). However, fans have no input concerning who is nominated or elected to the hall. 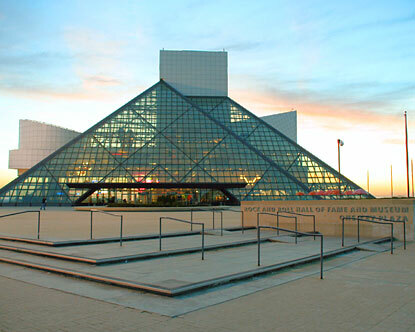 The Nominations for the Rock and Roll Hall of Fame’s Class of 2019 Are: Def Leppard, Devo, Janet Jackson, John Prine, LL Cool J, MC5, Radiohead, Rage Against The Machine, Roxy Music, Rufus Featuring Chaka Khan, Stevie Nicks, The Cure, The Zombies, Todd Rundgren and The Zombies. The Rock and Roll Hall of Fame has just released their “Class Of 2018” Nominations, so after some reminder premise on how one achieves such an honor I will line out the list for you. As time allows, I’ll be tossing some thoughts about each of them in this list rundown.